Thanks to a special designated donation for school supplies and school uniforms to start the 2015 school year, and the support of GlobalGiving donors, Self-Help was able to ensure that students of Treinte de Mayo School and students that are children of women in the Micro-Credit Program were able to get the clothing they needed to start the school year while supporting the local economy and micro-credit beneficiaries. Treinte de Mayo is a particularly depressed shantytown located outside of San Carlos, Nicaragua. There is limited running water and very few families are able to afford school uniforms for their children to attend school. Self-Help saw the need in this community and helped to build a school for pre-school, kindergarten, and first graders to attend since the nearest school was too far away for these young children to walk to. Adelina is from Las Azucenas and is a single mother, with one daughter still living at home. Adelina is one among the 125 women that benefit from SHI’s Micro-Credit Program in Nicaragua. Adelina is arguably the most gifted tailor among the 125 women and uses her expert sewing skills to earn a living by operating a small sewing business out of her home. Her sewing and tailoring business offers bags and children’s clothes, among other items. When we received a request for a bulk order of school uniforms for Treinte de Mayo, we knew just who to go to: Adelina would be in charge of the production with her demonstrated skills and talents. When we explained the opporunity, she agreed immediately and grew excited right away because this was such a great chance for her to not only prove that she was capable of completing an order of this size but also because of the profits and improvements it would bring to the lives of her, her assistants, their families, and the community as a whole. Adelina’s business was too small and her capital too little to complete such a large order without a downpayment, so a portion was paid to her up front. As soon as the money was available, Adelina visited the Self-Help International San Carlos office and went with our team to Treinte de Mayo School, as well as all of the homes of the children whose mothers are in the micro-credit program, to take measurements for the uniforms she would sew. Later on that week, she traveled to the main market in the capital of Nicaragua, Managua, to purchase the required materials to begin production, which has the best rates in the country even factoring in transportation expenses. Knowing she could not do it all alone, Adelina also hired three women from her community (two of them to help sewing and the other to help by ironing each piece) in order to have the uniforms ready in about one month. In total, they need to make 300 items of clothing, including skirts for the girls, pants for the boys, and unisex blouses. The four women worked in Adelina’s living room with three pedal sewing machines. Each piece was then ironed, packaged, and labeled with each student’s name to avoid any possible confusion. The women were extremely careful and professional of course. This attitude had already been instilled in the women through each of the training sessions provided by the Self-Help International staff. 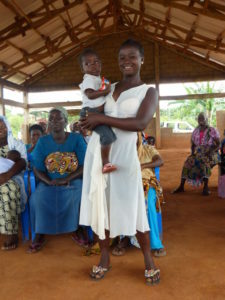 The women demonstrated personal growth and also proved that they are indeed putting into practice what they have learned while being a part of the Self-Help International Micro-Credit Program. After delivering the uniforms and getting the final payment, Adelina divided the profit amongst all four women. 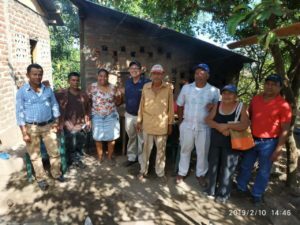 With her profits, Adelina purchased a better quality iron for future works, a pair of shoes, a uniform, a cell phone for her daughter, and one pig. When this pig is grown, she plans to either sell it for a profit or to eat it for Christmas celebration. 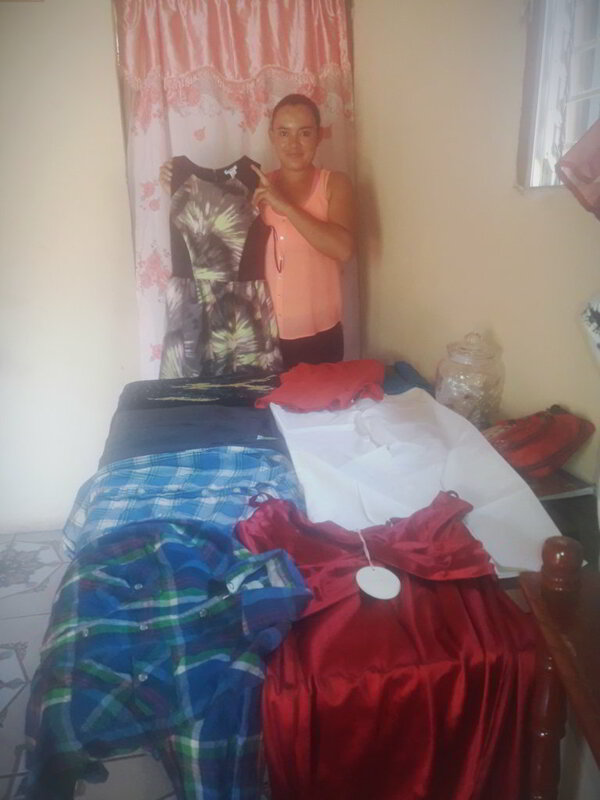 The other three women (Carmen with two children, Erlinda with two boys, and Lorena two children) used their earned share of the profits to support their house needs and, like Adelina, they also purchased their children uniforms and shoes for the Independence Day celebration. Erlinda even had enough money leftover to repair her kitchen roof that was in bad condition. All in all, a lot of people benefited from SHI supporters’ gesture of goodwill. Ninety-two students from Treinte de Mayo School and 60 students that are children of women participating in SHI’s Micro-Credit Program received new school uniforms for the school year that they would not have had otherwise. Children and youth of these rural community areas needed SHI’s help most, but the entire community came together and benefited from the project.  Adelina is proud that she was the one chosen to do such a large order of uniforms. This job enabled her to reinvest her profits back into her business and substantially expand the amount and sizes of orders she can fulfill, which in previous years would not have been feasible. Usually Adelina, and other tailors, have busy seasons during the holidays, but otherwise only have seldom work such as repairs. Due to the Micro-Credit Program, Adelina profits enough to provide for her and her daughter, even during the lulls.